While there are a flood of predictions about the food trends that will be gracing our dinner tables this year, I have opted to focus on the trends that are moving our society in the direction of more mindful and nutritious consumption. From dinners made of food waste to the rise of insects and pulses as viable meat alternatives, these trends are positive, progressive and impactful. Read on to find out more about what will influence how we eat in 2016, as well as where to try them in Vancouver. 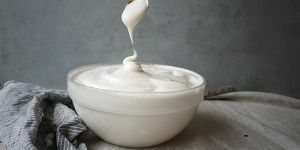 With the growing interest in plant-based diets, non-dairy replacements for common foods have emerged for everything from mayonnaise to whipped cream (this coconut milk variety is a favourite). While basic nut mylks and cheeses have become commonplace, several new alternatives are catering to vegans with nut allergies, including cauliflower cheese, quinoa yogurt, and mylks made from hemp, rice and tigernuts (which are actually tubers, not nuts). Meanwhile, vegan condiments like avocado mayo and cashew sour cream serve as spot-on substitutions for the real thing, and you won’t even notice a difference when it comes to dessert options like coconut ice cream or vegan chocolate. Check out Pomme Market for tigernut mylk; Urban Fare for rice mylk; Earnest Ice Cream and Rain Or Shine for stellar vegan ice cream; and Zimt, Koko Monk or chocolaTas for vegan chocolates. From layered salads to chia parfaits, mason jars stole the spotlight in 2015. This year, however, the bowl is the vessel du jour for everything from ramen to cocktails. 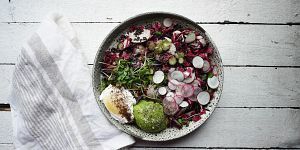 Salad, grain, noodle and even Hawaiian poke bowls put a fun spin on everyday dishes, while stacked smoothie bowls add some fun to the average breakfast. Plus bowls make it easy to incorporate more fruits and veggies into your diet on a daily basis (always a good thing). Keen to try this trend? Over at The Juice Truck, their brown rice sushi bowl competes with the açaí smoothie bowl for supremacy, while The Parlour and Pourhouse have recently featured boozy punch bowls on their drink lists – no ladle required. 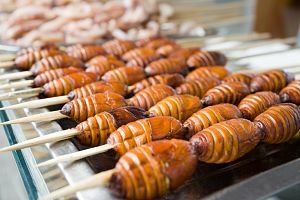 Though the idea of eating insects sounds repulsive to many North Americans, several billion people worldwide consume them as part of their regular diet. Why? Because bugs are a safe source of nutrients, minerals and high quality protein, and are very tasty when properly prepared. What’s more, insects have substantially less impact on the environment than raising cows, chicken and other livestock. Two of the world’s best restaurants, Denmark’s Noma and D.O.M. in Brazil, have been serving insects on their menus for years, and now this alternative protein source is starting to make inroads in Vancouver. Choices Market recently added cricket flour to its shelves and the new Vij’s Restaurant is featuring a special that incorporates cricket flour, while its co-owner Meeru Dhalwala is in the midst of experimenting with other insects as we speak. Given that the average North American throws away almost 100 kilograms of food each year, food waste is an issue that deserves our attention. And this year, it’s going to be front and centre – on our plates. From “ugly produce” to “trash fish”, perfectly usable ingredients that happen to look less than flawless are being served at acclaimed restaurants from New York to Copenhagen. Locally, Chef Dave Gunawan is leading the charge with Royal Dinette’s Ugly Duckling dinner series featuring a five-course meal made from repurposed food waste. Each menu consist of dishes that utilize discarded offcuts and scraps like egg shells, coffee grounds, stems, stalks and rinds. If you’re curious to see how tasty food waste can be, the third and final Ugly Duckling dinner happens next month on February 10. Forget kale, cauliflower and Brussels sprouts. The latest “it” vegetables come from a most unlikely source: under the sea. 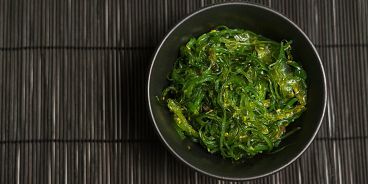 As chefs embrace these nutrient-packed underwater veggies in a multitude of different forms, expect to see sea greens appearing on your dinner plate with greater frequency. 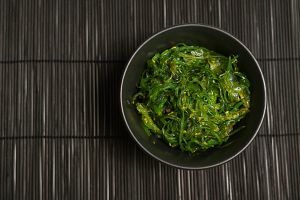 Hawksworth Restaurant, Forage and Exile Bistro have all recently featured sea asparagus on their menus, and you can even buy foraged sea greens at Vancouver Farmers Markets (sold by The Promised Land Farm) to experiment with in your kitchen. Water is a trend? Actually, yes it is. You’ve likely come across some eye-catching “detox water” posts in your Instagram feed as of late, but that’s only the tip of the iceberg. Waters derived from plants, fruits and veggies are white hot right now because they offer a fresh take on the world’s most common drink – and are often loaded with extra nutrients that tap water lacks. Whether it comes from a tree (birch or maple water), a plant (cactus water) or produce (artichoke water and watermelon water), these varieties definitely make drinking a glass of H2O that much more exciting. Last year, chefs went nuts for ancient grains like freekeh, amaranth and red fife. 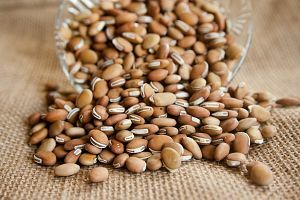 Now it looks like pulses – dried seeds derived from legumes – will be taking centre stage in 2016, due in large part to the movement towards consuming more plant-based proteins and less meat. You’re probably familiar with standard pulse varieties like chickpeas, black beans and green lentils, but there are many lesser-known options also worth a try. 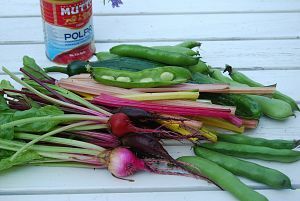 Swing by the bulk section at Whole Foods to find some of the more unusual types, including adzuki beans, cranberry beans, flageolets, pigeon peas and great northern beans.